It’s no secret that we absolutely love pens here at the Pen Company, and in addition to this, one of our other great loves is handwriting; a topic which has featured many a time on our weekly blogs. 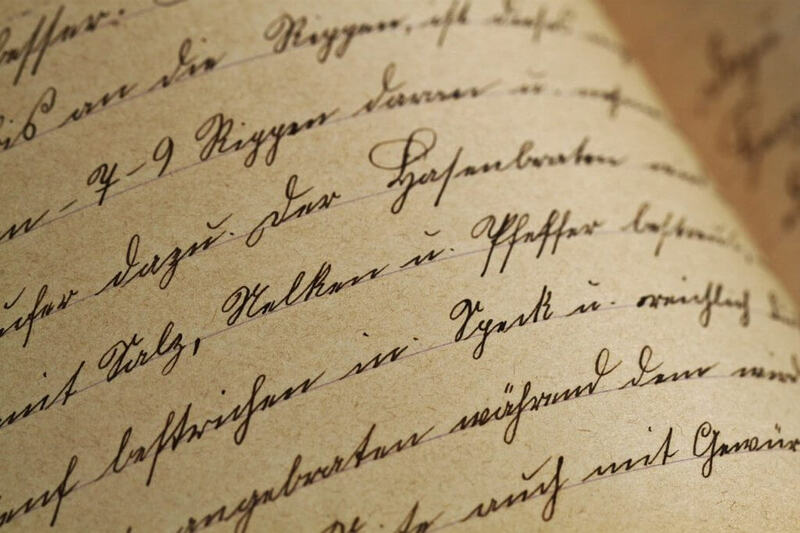 It is with great interest therefore, that we can report some of the findings in a Signature Thomas Cook survey which has detailed the condition of handwriting throughout the UK. According to the survey, less than half of the population puts pen to paper in a single day, with the same amount never having written a love letter. Additionally, the survey found that only 29% of us think that handwritten notes show that you care and only one per cent less have kept cherished handwritten letters. Oddly however, 18% of us actually keep love letters that have been written by our exes. “Thomas Cook’s survey has revealed handwriting is an endangered art so we should reclaim it. It is sad that less than half of us write every day and don’t send postcards when we go on holiday. But is there a difference between the sexes? Interestingly enough, the survey also found that women are actually twice as likely to keep notes, their children’s schoolwork, diaries and their own creative writing. One unexpected discovery however, is that men are actually more likely to keep and cherish handwritten wedding vows than women. As one might expect however, women’s handwriting has been found to be neater than men’s, as they tend to believe that their handwriting reflects their personality. The survey also revealed that some of the UK still loves to receive handwritten notes, which might be seen as a nice change to texts, emails and Tweets. Additionally, despite the fact that a quarter of Brits like to keep the postcards that they have received from friends and family – the art of handwriting is still ailing. Perhaps partly thanks to the fact that Brits are far more likely to write on a sticky pad than on a diary (though half of us do keep a handwritten diary), over a third of us are seen to produce messy handwriting, and one in ten people admit that their handwriting might in fact be illegible! ← Previous Post: What Is Pen Ink Made From?